Just to pinpoint my life, would be Sports. But first, my name. Mariska Sage Gionis, born on Aquaria. My dad liked Sage. My mom liked Mariska. 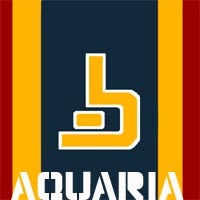 When I joined the Aquarian Aces, I was on top of the world. My dad was well off and so that meant that his children were spoiled. I was no exception to that rule. From the point that I learned what money, fame and being part of the 'upper crust' meant? I was incorrigible. On Aquaria, Gionis Industries was known well enough. We lived in the captial city of Cessily. I went to the best schools, drove the best vehicles, had the best clothes. But even past all that, I had the dream. I was good in sports and even though I was small and wiry, I could move like the wind. I loved being known and having people as friends, whether they were friends or not in reality. I went from middle school block teams, to highschool and into college. I tried out for the refresher teams where they pick the best of the best. I had their eye and when the Argonauts came around, it was between them and the Aces. I took the Aces, as they were my home team. I even had an Ace tattooed on me. (none of your business where!). Oh I also did other things, but nothing was as important as being on the court. Nothing held the thrill of fans cheering. I was in mid-season training on the Carina when the war hit. Devastation, everything was gone. But not the sport…no, the sport would never be gone.